Shri Mahila Griha Udyog Lijjat Papad, popularly known as Lijjat, is an Indian women’s cooperative involved in manufacturing of various fast-moving consumer goods. The organisation’s main objective is empowerment of women by providing them employment opportunities. Started in the year 1959 with a seed capital of Rs. 80, Lijjat has an annual turnover of around Rs. 6.50 billion (over 100 million USD) in 2010, with Rs. 290 million in exports. It provides employment to around 43,000 (in 2015) women. Lijjat is headquartered in Mumbai and has 81 branches and 27 divisions all over India. Short on time? Let papad sellers contact you. Papad is used by indians asians, as spicey crisp taste oriented supplement, it is salted crisp like large edition of potato chips. 200 gms, , 25 kg pack Round. Papad 15 kg, 10 kg, 5 kg & 1 kg (loos), in airtight & robust cartoon. 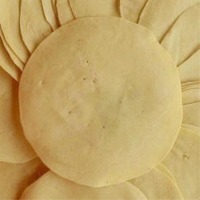 Our udad dall papad manufacture from pure high quality udad dall and all quality ingridents. Rice appalam and tapioca appalam also manufacturing from quality rice and high quality tapioca. Our packing also 200gms. In each product. We also packing buyers requirements. Thanks. 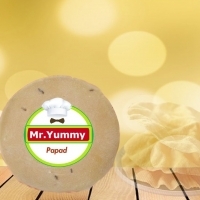 Papad: DESCRIPTION: Papadum is a thin, crisp, disc-shaped food from the Indian subcontinent; typically based on a seasoned dough usually made from peeled black gram flour and rice flour, fried or cooked with dry heat. Papad which is displayed in the picture is made from a special recipe for more taste and it is different from the regular one. 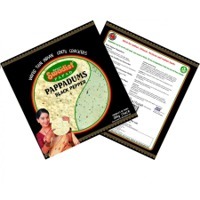 Our product has three kind of flavors namely tommato papad, garlic papad and onion papad.